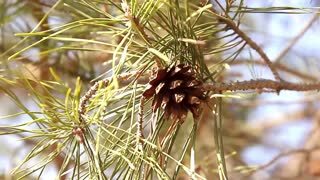 Search Results for "grass sun forest"
Pine cone close-up. Spring forest, pine trees, pine cones, green young grass under the bright rays of the spring sun. An old tree with green and golden yellow leaves, a wild amanita muscaria mushroom in long sun-scorched grass in an autumn forest under bright sun rays. White and brown bark texture, close-up. Warm autumn colors. Amanita muscaria, golden yellow leaves, an old tree in long sun-scorched green grass in an autumn forest under bright sun rays. A wild fly agaric mushroom texture, close-up. Warm autumn colors. An old tree with green and golden yellow leaves in long sun-scorched green grass in an autumn forest under bright sun rays. White and brown bark texture, close-up. Warm autumn colors. Amanita muscaria, golden yellow leaves in long sun-scorched green grass in an autumn forest under bright sun rays. A wild fly agaric mushroom texture, close-up. Warm autumn colors. Pine Forest. Sun Glare Forest. Squirrel in a Grass. Slider Shot. Glade overgrown with grass in the forest. The glade is strewn with yellow wild flowers. Sun rays make their way through the grass. Wind gusts stagger plants. Summer day. Grass Gently Waving Against the Sun in the Forest on a Sunny Day in Summertime. Panning through grass at the forest floor during sunset. Sun shining through the trees.